The superlift powder coat was flaking and the brackets had rust. I plan to sand blast all the parts before I sell. When the parts are all cleaned up ill epoxy prime and spray them in a high end gloss spray bomb to make them look like new. All of the nuts and bolts I will go over to make sure they're all in reusable condition. Also ill include a bottle of new red lock tite to use on the nylock nuts that are preferably a 1 time use. Will be getting the kit weighed for shipping quotes after painting. But this is the superlift brackets and knuckles as they sit while I wait for sand blasting media. Still have the superlift for sale!! 1100+ shipping!!! This is a pretty decent deal. Thanks ill have pictures uploaded in a few days for the superlift. Ill take before and after pics of the lift brackets. The coilover conversion I should have pics uploaded by the end of the day. Last edited by Richyes; 07-13-2013 at 09:49 AM. Well it's technically for sale in a way. 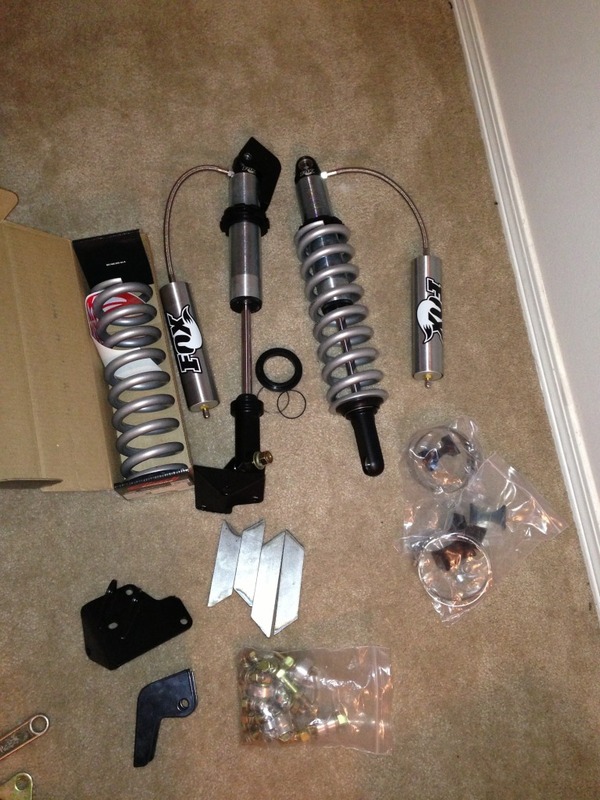 Just wanting to know if anyone is interested in the lift as a coilover lift. 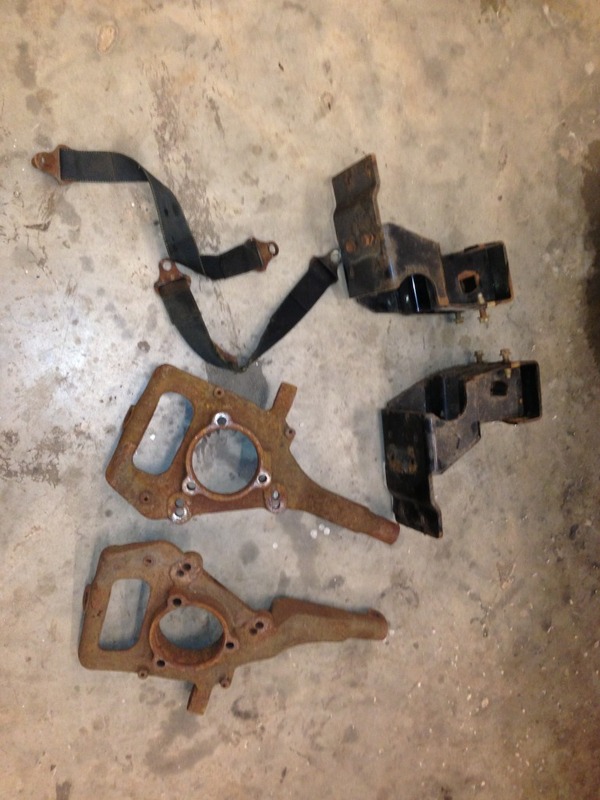 Or if someone wants the lift coil brackets and not the coilovers. May just sell the lift and coilovers and just run a shorter coilover at stock height. Will you entertain selling the coilovers separate? I'm in Pensacola and could do it in person. I'm working with someone at the moment for everything all together. If that falls through then I may be interested in splitting everything up. Are you wanting the coilovers and brackets or just the coilovers. Just in general for anyone interested I had to order more blast media. Ill be blasting the lift brackets when the media makes it to my work. 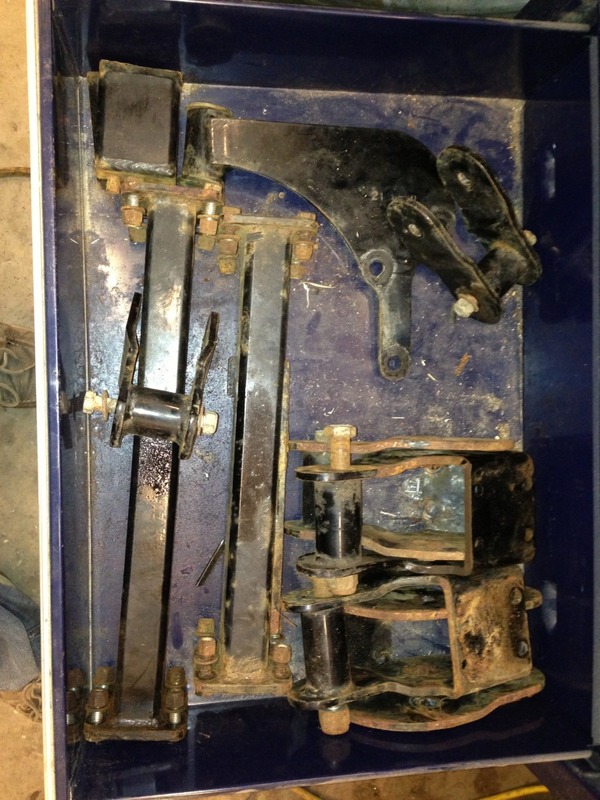 Ill also be posting pics here shortly of the lift brackets and knuckles in their current condition. Also will be posting the pics of the coilovers and conversion brackets to paint a better picture for everyone interested. I've got brackets, but definately keep us in the loop. I'll start shopping for my own soon but if I can help someone out too that's even better. I'll be looking to buy from a vendor in a few weeks if anything changes. good luck man. What made you decide not to put on the lift/coils on your truck? I haven't changed my mind about lifting my ranger. I just would prefer to sell the lift and everything vs taking money out of savings. In the middle of closing on a house and keeping my rainy day funds safe is the priority. I'm far from being in a bind or short on money but prefer to not risk it for a couple months till I build my money back up. Ill keep everybody updated on the superlift and how the refurbishing goes. I did get side tracked last night and didnt get any pictures of the coilovers and brackets like I promised. Had to remove my rear driveshaft to get balanced this morning. How much do you want for everything. And im about to purchase the brackets and sl new. So hit me up. So did you happen to sell everything? I really wanna get the coilover brackets is there anyone someone can get them duplicated and sell them to me ? I already have a superlift .. He's not making any more until the new year I believe he said but he was planning on doing another run. I got the impression that ME00Stepside would be making another run shortly after the 1st of the year. Everyone should make sure to post the interest in his main thread so he knows there is still a market for them. Might get him to fire up another batch even sooner. There is a PDF template with measurements of the brackets that have been on this forum for years. Ya I knew that a PDF existed I just haven't had the time to look for it but I do appreciate the input guys. I'm not trying to give away his design. I just offered the measurements to help someone out. Hopefully he will find the info he needs or wake me0 up for another round of brackets. Just glad i already have a set of my own. Which only gives you a rough idea on the brackets. There's no notes for the joints or overall bracket size or even material thickness. Mine are roughly made from the PDF from years back that only gives outside measurements. I also used the truck as reference. Is this lift kit gone yet?? ?